I am very pleased to have been able to support this amazing program for yet another year! 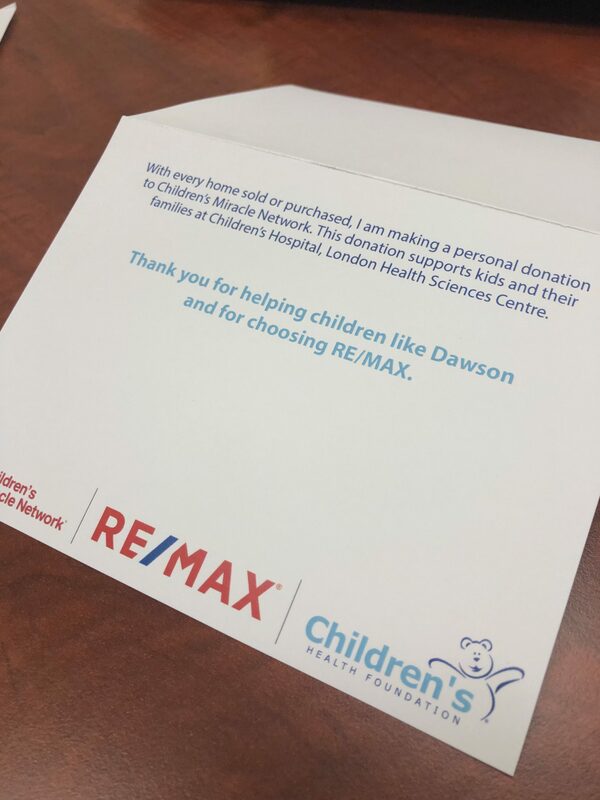 A portion of each of my sales commissions is donated to the Children’s Miracle Network through our RE/MAX Campaign. 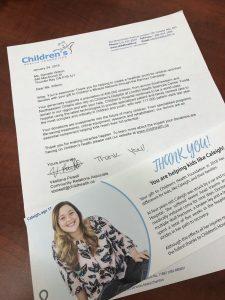 All of my Clients throughout 2018 helped to support CMN by entrusting me with their dreams. 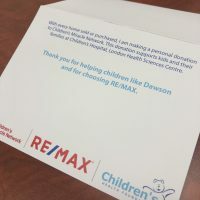 The RE/MAX Campaign supports 400,000 children from across Southwestern and Northwestern Ontario who must attend London Health Sciences Centre. Funds remain in our region and are a direct investment in the futures of many children. I am proud to belong to a company that supports families in their greatest time of need, and I am thankful for the many wonderful Clients that I have worked with that have supported this program.